That is definitely a creepy tree:shock: I hope that's not in your backyard. 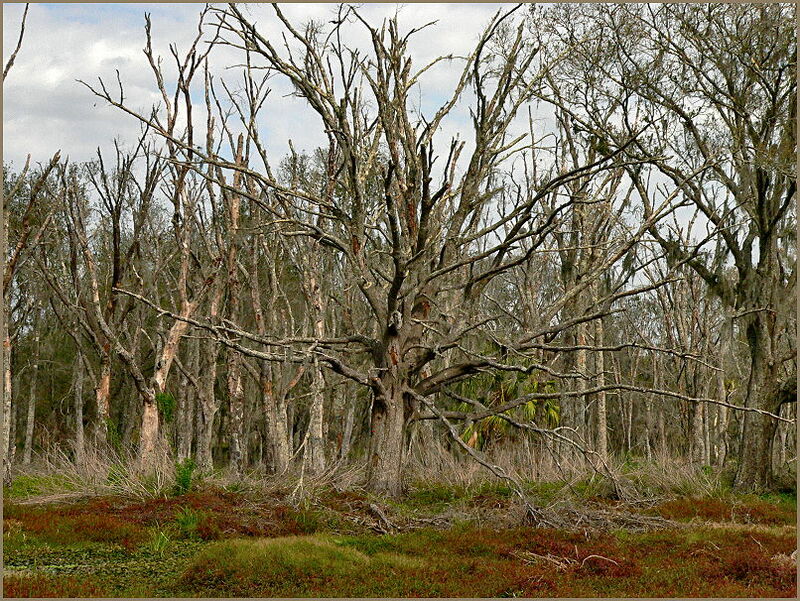 looks like a whole dead forest... salt marsh? Hey there willow1...i have been a longtime admirer of all your macros. Amazing stuff and now you go and shoot some regular stuff and amaze me at this too...damn, anything you aren't good at? lol. Hey how come all the colors in your shots are always so spectacular...do you saturate colors in your shots? I have noticed that even in your macros, the colors are all spectacular...almost better than real life. The greens are greener, the browns are browner..lol...you get what i am saying. I guess i am asking for your secret, a huge admirer. p.s. did i meantion that i am an admirer of yours...hehe. now here it is in a real creepy shot!!!!! 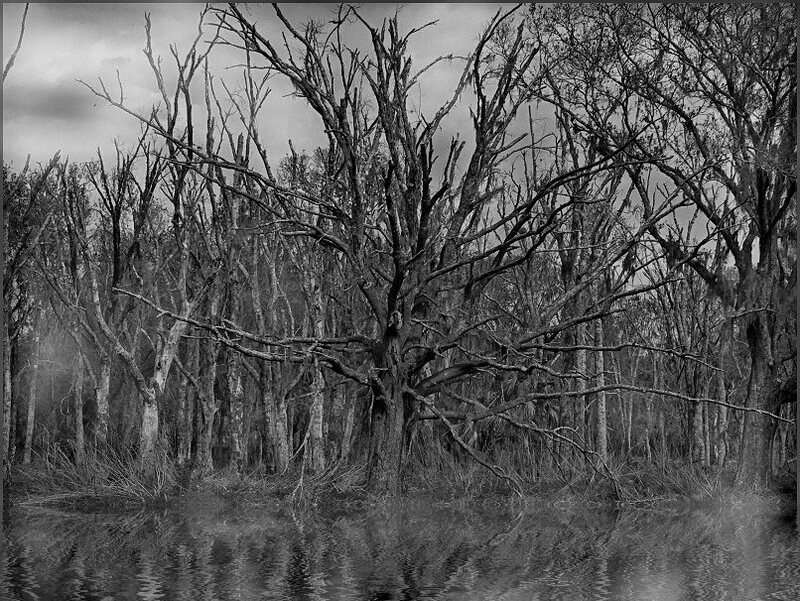 Try making the creepy tree in b&amp;w only and leaving the rest of the photo in color. Looks like that car eating tree from the Harry Potter pics/book. I wouldn't park near it. OT but hey, Will, ya gonna watch that prime time UFO fact/fiction special with Peter Jennings next week?